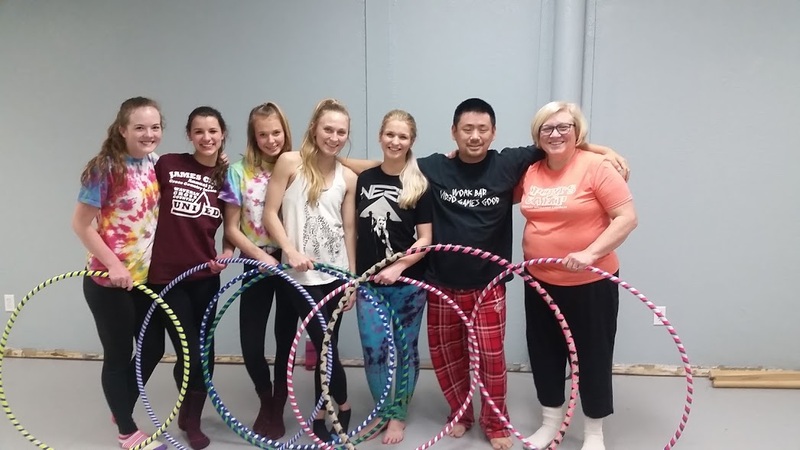 While hooping is known for helping tone your core, this class is designed to help you have fun! You’ll be challenged to hoop on your hips, waist, knees, chest, shoulders, and more. And, with each new skill, you’ll find a strength and confidence you didn’t even know you possessed! Some people come for an intense cardio workout, others come to learn an alternative to their regular workout routine. This hula hoop workout is a fast-paced cardio session using a heavier hoop designed for increasing core strength and coordination and burning calories. All skill levels invited. Students who have not mastered waist hooping may find this class challenging. Pre-registration is required. Please use the button below to register for this class via The Artist’s Gym website.